Good morning everyone, I hope your weekend is going well. During my OC Travel Meetup last weekend, I learned that there are several ways to track your spending on the Citi Hilton Honors Reserve Credit Card. I was only aware of the old school way (exporting data and opening Excel to add up the charges), so I am happy to share the much simpler and faster ways to track your spending. There are 2 main reasons for tracking your spending on this credit card – you get a free weekend night certificate when you spend $10,000 during your cardmember year; you will earn Hilton Diamond Elite Status when you spend $40,000 during your cardmember year. Unfortunately, American Express will be the sole issuer of Hilton credit cards starting on January 1, 2018, so it is still unknown what will happen to Citi Hilton credit cards. If your annual fee is billed before January 1, 2018, you should still get the perks of spending on your Citi Hilton Honors Reserve Credit Card. With all the said, let’s get started with the first and probably the easiest way to track your Citi Hilton Honors Reserve Credit Card spending. Sign into your Citi online account and click on your Citi Hilton Honors Reserve Credit Card account. 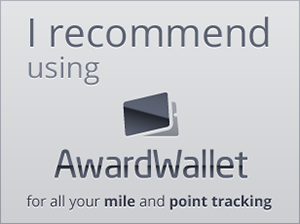 Then click the View Your Rewards Summary link under your Hilton Honors points balance. On the Rewards Details page, scroll to the bottom of the page to view your progress toward the free weekend night certificate ($10,000 spend) and Hilton Diamond Elite Status ($40,000 spend). As you can tell, I already met the $10,000 spending requirement for the free weekend night certificate, but I still have a long way to go to meet the $40,000 requirement for Hilton Diamond Elite Status. The second way to track your spending is almost as simple and easy, but this method shows you which categories your purchases fall into. Click the Spend Summary link above the transaction section. The Spend Summary page will break down your spending into different categories. I can also tell that I met the $10,000 spend requirement because I spent more than $10,000 in single category. The last way to track your spending is the most complicated but provides the most detail. For this method, click the Activity Since Last Statement drop down menu and click the Date Range. For the date range, enter today’s date and the date 1 year ago. Then click the View button and then click the Fees / Interest tab to view the date your annual fee was billed. Now that you know the date your annual fee was billed, change the date range to today’s date and the date the annual fee was billed. Then click the Purchases tab to view all charges. Then click the Export link. In the Download Transactions box, select Current Page View under the Account Activity drop down and select CSV under the Format drop down menu. Then click the Next button and then click the Download button. Open the CSV file with Excel and then add up all the debit transactions. This method will show you all the transactions and give you a grand total of all the charges since your annual fee was billed. This approach requires the most steps, so I recommending using the first 2 methods first. If you have any questions about the 3 methods to track your Citi Hilton Honors Reserve Credit Card spending, please leave a comment below. Have a great weekend everyone! This entry was posted in Credit Cards, Hotels + Points, Promotions + Deals and tagged Citibank, credit cards, Free Stuff, Hilton, Hotel Loyalty Points, Hotels, Promotions, Travel, Travel Credit Cards. Look like MS to me. I just wonder what happen with AMEX if we do MS.
You should be OK to MS with AMEX, as long as you’re income matches what you have listed on the CC application. Financial Review should be resolved easily. Spoke with Amex today and asked what would happen to those of us that already have five (5) Amex cards. Rep said that they would take care of us… they wouldn’t turn us away. They couldn’t offer any specifics though. Next call will be to Citi to find out what they can do about the annual fee I was billed, for a card that is changing to some unknown quantity on January 1st. How did your call to Citi go?